A week or two ago I saw something that said "Happy Easter Peeps!" on Pinterest (of course packaging for those *disgusting* Easter candies). 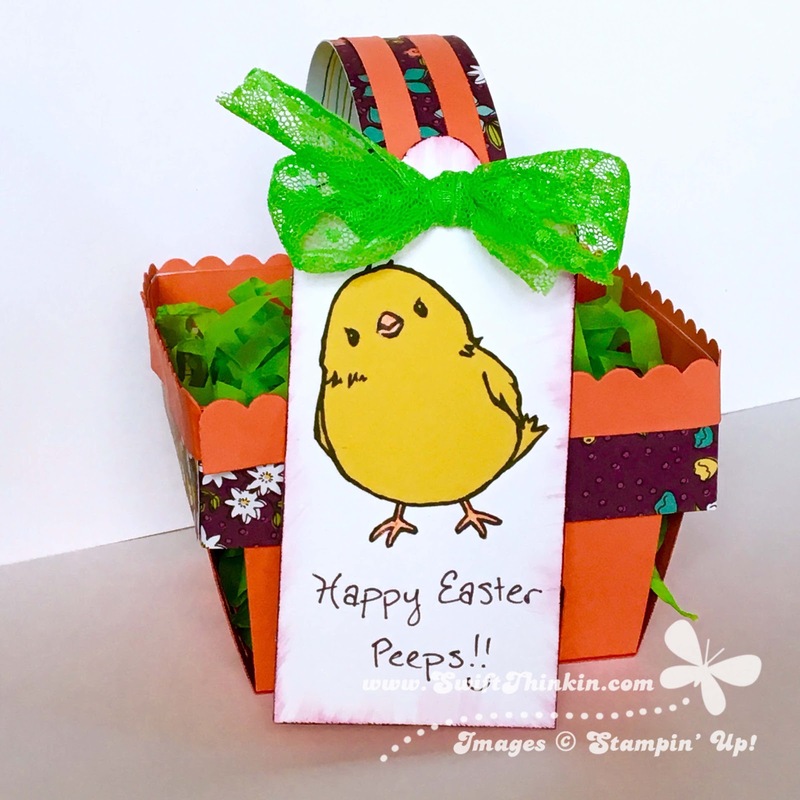 Well, I'm obviously not a fan of that take on it- but it made me think of our cute little Sale-a-Bration chick stamp, and I thought it would make such cute Easter gifts for friends or family. So I set to work making a little tag using that stamp- and I needed SOMETHING to hang it from... so I pulled out the berry basket die to make an Easter Basket to match :) Hopefully you don't see too many baskets on this hop... but then again the die is so stinking cute I'm guessing you will! I used a lot of Sale-a-bration items on this card. 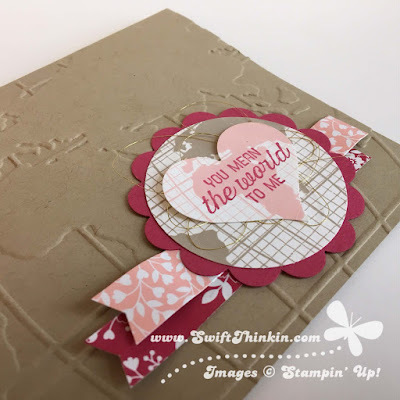 The cute little chick stamp is from the Honeycomb Happiness set. And then I also added some Wildflower Fields DSP to dress up the basket. To make the chick I stamped the image twice- once on the white tag and once on Hello Honey cardstock. Then I was able to cut out the yellow parts of the little cutie and attach to the tag, still allowing me to give him some orange colored legs. Since the sentiment I wanted wasn't one of our stamps I considered typing it out on the computer and printing it up... but in the end I decided I liked the idea of my own handwriting on the tag to give it a personal touch. In this case the Project Life pens we carry are the perfect writing instrument. They go on nice and smooth- and there are two different thicknesses to choose from. Alright, time to hop on to see what Kristine has made for us this month! I just love having banners on my fireplace. It really dresses up our front room, and is such an easy decoration to make (not to mention fun!). Pretty much everything here came from the Paper Pumpkin box. The only thing I added were two heart punches to make the smaller hearts (sweetheart punch and itty bitty heart punch). I didn't even have to sacrifice any of my big hearts to make the little ones (wow- that could sound creepy if you read it wrong). I punched all the little bits out of the scratch paper left after the precut pieces were removed. There is ALOT there to play with! 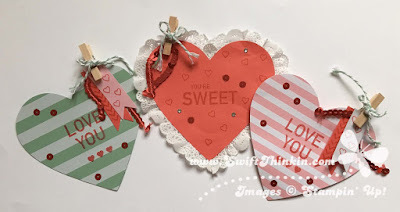 So, now, go grab your red box and finish up those Valentine projects too. Happy Heart Day! You can see that for the kiddos two pouches I stuck pretty close to the directions. 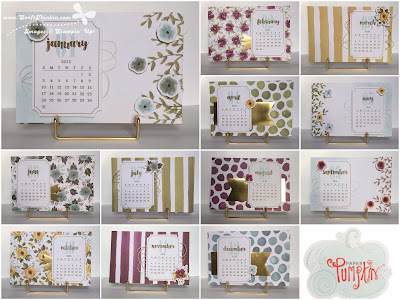 Stamp, stick together, decorate, and done! 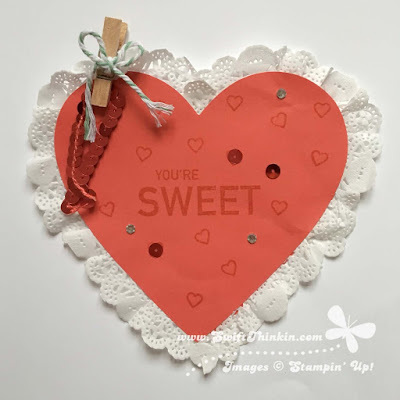 But the more I looked at these heart shapes, the less I saw 'conversation hearts' and the more I saw an old fashioned doily heart :) Which brought me to the special one I made for the hubby. I did also add a couple of rhinestones to this one- just to give it a little extra sparkle :) Now, I've got to find some fun candy to fill these hearts up with for my three sweethearts! Flutterby again soon to see what I did with the rest of my kit! I once again paired it up with the Love Blossoms DSP stack, and stuck with the coordinating color scheme. It made for such a pretty & elegant card. First, I want to thank all of you who check out my blog- Thank You Thank You THANK YOU!! Second, I want to apologize for the lack of posts the last couple of months. I have been stuck in a big creative rut. I've been making things- especially Paper Pumpkin projects- but getting them posted on here has been lacking :( I am truly sorry. I'm going to try to get better. Health around our house this winter has been a big contributing factor. My coworker was explaining to someone the other day "The thing you have to understand about Amber is that she is sick more than she is healthy". She was joking around of course, but I have to admit there is quite a grain of truth there none-the-less. It has been awful around my house since thanksgiving- just one cold after another going through my kiddos and I. In fact, right now I think I'm on my 5th bout of sickness in 2 1/2 months. Bleck. Anyway, I'm going to try to get better (at both posting, and my health of course). So please stick with me!